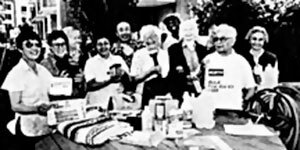 MAKE YOURSELF A PROMISE, directed, photographed and edited by David L. Brown,(1991) An award-winning 27-minute video on earthquake preparedness focusing on individual preparedness, neighborhood planning and vulnerable populations. Produced in eight languages for Tenants and Owners Development Corporation (TODCO), the video is unique in presenting information on earthquake preparedness for elders, frail elders, the disabled and non-English speaking populations. In addition to providing a complete checklist for preparedness supplies and precautions, the video emphasizes the importance of organizing community centers and neighborhoods to prepare for an earthquake and to respond effectively following a disaster. 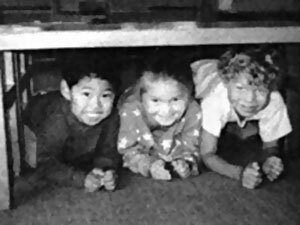 Illustrated with a great variety of earthquake footage from the 1989 Loma Prieta earthquake, MAKE YOURSELF A PROMISE has been one of the most widely used earthquake preparedness videos throughout California. It combines the main qualities needed for an effective preparedness video: clear information and demonstrations, graphic earthquake footage, and encouragement to motivate the viewer to actually take the steps necessary to become prepared for the big earthquake. Winner: CINE Golden Eagle; Bronze Apple, National Educational Film and Video Festival. Available in: English, English open-captioned, Spanish, Cantonese, Mandarin, Russian, Vietnamese, Cambodian and Korean. Other Earthquake Preparedness Videos Produced and Directed by David L. Brown for the State of California Office of Emergency Services. Co-produced with Design Media. EARTHQUAKE PREPAREDNESS: WHAT EVERY CHILD CARE PROVIDER SHOULD KNOW is an award-winning 20-minute video designed to instruct and motivate home child care providers. Co-produced with Design Media, the video was co-developed with the highly respected Bay Area Regional Earthquake Preparedness Project (BAREPP). The video involves innovative blue screen interviews with children (age 4-6) and child care providers, superimposed (chroma-keyed) over children’s artwork depicting the Loma Prieta earthquake (for the kids) or still photos of earthquake damage (for the providers). Scouting fifteen child care facilities led to Benvenue Children’s House in Berkeley for two intensive days of location shooting. The video shows the provider, Rosemarie Ritchie, teaching the kids about ducking and covering with the assistance of a doll house. As she remarks to the kids in the video: “See how everything has fallen, but the kids are safe because they ducked and covered under the table.” Hosted by actress, Robin Karfo, the video demonstrates the key preparedness precautions such as bolting the book cases to the wall and securing fragile or unstable objects. It also includes the complete checklist of emergency supplies to be stockpiled. Winner: Golden Apple, National Educational Film and Video Festival. 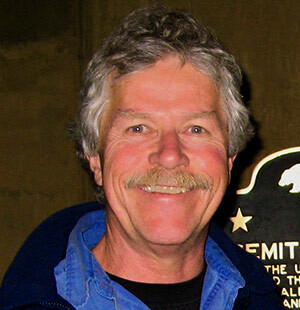 AN OUNCE OF PREVENTION: STRENGTHENING YOUR WOOD FRAME HOUSE FOR EARTHQUAKE SAFETY is a 25-minute video hosted by Ron Hazelton, the “House Doctor” on ABC-TV, that provides practical tips for earthquake proofing your house. Hazelton guides the viewers through a demonstration of strapping their water heater, bolting their wood frame house to the foundation and bracing the cripple walls with plywood sheer panels. 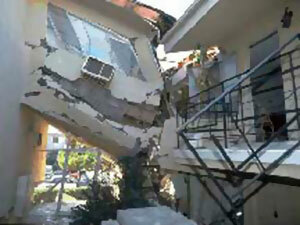 The video features computer animation carefully designed with BAREPP consultation to illustrate the impact of a major earthquake on an unbolted or unbraced wood frame house: total collapse of the house. Animation also shows the positioning and length of the shear walls for various sized houses. 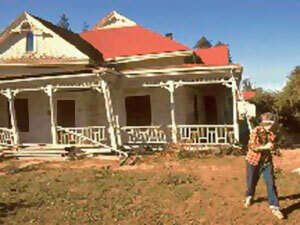 Footage of damaged wood frame houses from Loma Prieta illustrates the voice-over testimony of people whose houses were damaged because they were unbolted and unbraced. 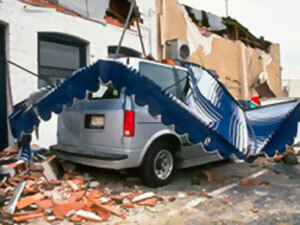 Both OES videos are available through the OES web site, http://www.oes.ca.gov/Operational/OESHome.nsf, click on Earthquake Program, then videos.